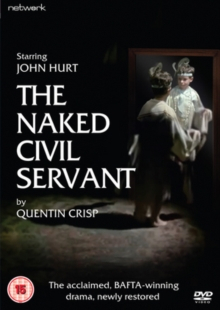 Made-for-TV drama directed by Jack Gold and starring John Hurt as Quentin Crisp. Made-for-TV drama directed by Jack Gold and starring John Hurt as Quentin Crisp. The film traces the life of the flamboyant and eccentric Crisp, a homosexual British man, as he grows up and grows old in a conservative society which treats his sexuality as a criminal offence. The cast also includes John Rhys-Davies, Roger Lloyd Pack and Stanley Lebor. The film traces the life of the flamboyant and eccentric Crisp, a homosexual British man, as he grows up and grows old in a conservative society which treats his sexuality as a criminal offence. The cast also includes John Rhys-Davies, Roger Lloyd Pack and Stanley Lebor.